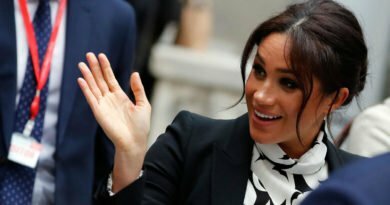 Meghan Markle and Prince Harry and officially back to work this week. The couple attended the WellChild Awards on Tuesday and the 100 Days to Peace gala. 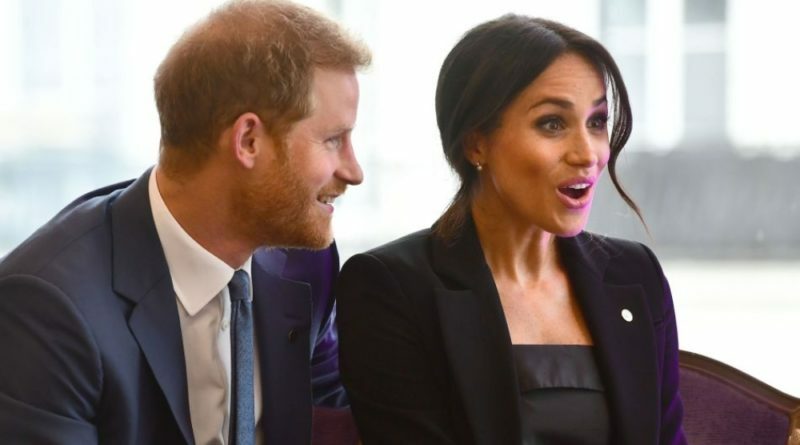 However we are just getting new details of their appearance on Tuesday, which includes a very sweet moment between the newest royal couple, caught on camera. 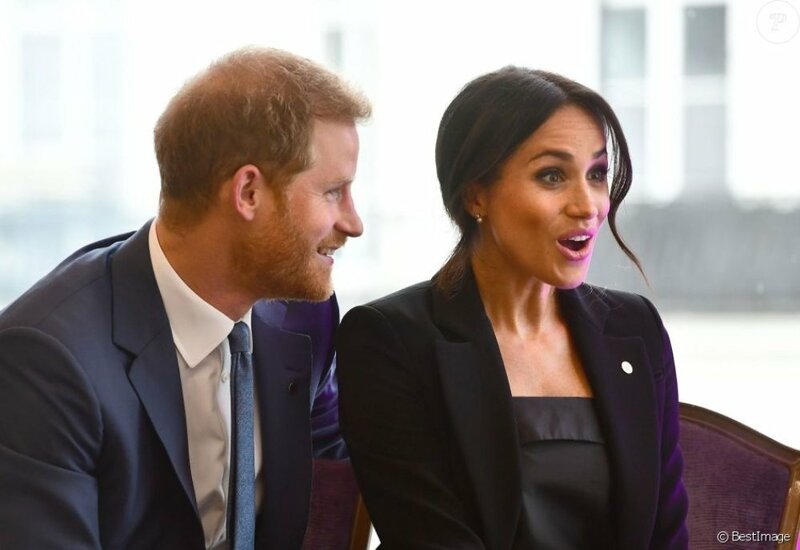 While they were meeting with one of the WellChild award winners, Harry can be seen tenderly caressing Meghan’s back. It’s not quite a kiss, but it is a rare sight for royals, especially during a work outing. This kind of behavior is not against royal protocol thought. 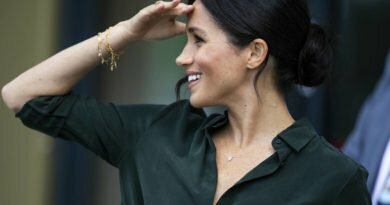 Beaumont Etiquette’s founder and director Myka Meier, a British-American trained by a former member of the Queen’s household, told us earlier that their showing affection is “actually encouraged [by the family]…. It’s up to each and every royal and royal couple about how affectionate they are. “There’s no protocol that tells them they can’t hug or kiss or touch. There’s no rule book like that. Each senior member of the royal family is trusted to make the judgement calls of what’s appropriate and when. This evening, the Duke and Duchess of Sussex stepped out for their second engagement of the week. 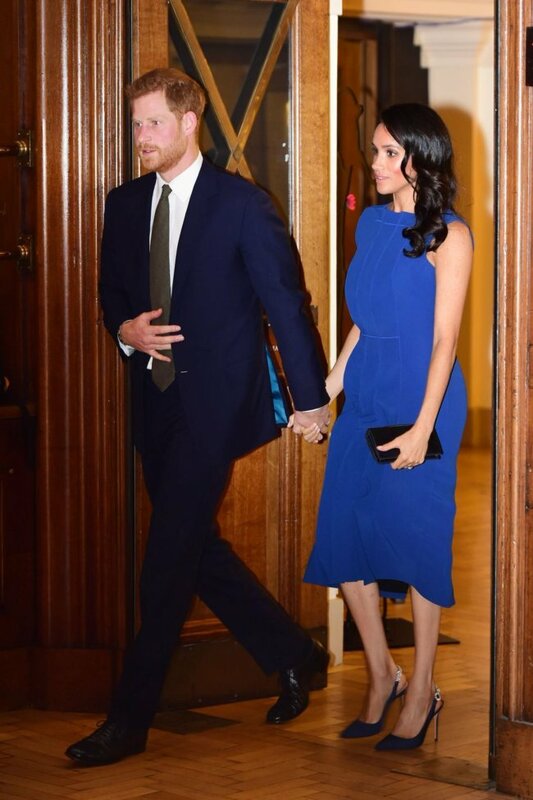 Harry and Meghan attended the 100 Days to Peace Gala, a charity concert marking the 100th anniversary of the final 100 days of World War I.
Meghan Markle dazzled in a flowing bright blue dress by Taiwanese-Canadian designer Jason Wu. She completed her outfit with co-ordinating Aquazurra court shoes and a Christian Dior clutch bag. Harry opted for a navy suit with an olive green tie. During the intermission, the couple met some of the performers during a reception in the Presidents Room. Harry and Meghan met with representatives from the three charities, and the Royal Armouries’ Trustees and Sponsors too.